what is the Orbx scenery you use? Do you run p3d as administrator? have you installed Nvidia drivers using displaydriveruninstaller and a clean install? Have you tried a clean install of prepar3d? - I still run P3D as administrator. - I used DDU for a new Nvidia driver about 1 month ago. - I uninstall and reinstall P3D before yesterday. I flew a flight of 5 hours this morning, no problem. I am waiting for several flights before confirming that everything works. Try to uninstall and reinstall Orbx Base and run the auto updater on GSX if the problem returns. Get the latest version of fsuipc and makerunways at Pete Downson's forum. Hope your sim is ok now! So this does not allow sufficient cooling. 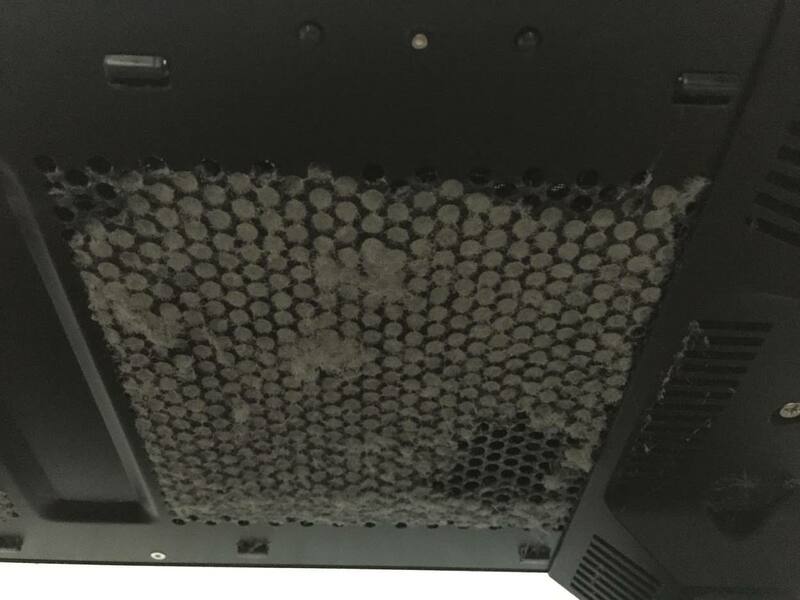 My system is clean and I did not expect to find that. So all three filters were clean but closed and therefore the ventilators couldn't blow in fresh air from beneath. I hope my dxgi errors are over now. I also read one advice in case you installed other RAMs in case of Dual RAMs to switch them. I did that too a few days ago and I had the impression the dxgi errors were gone. Only today, while programming the PMDG 737 for tutorial 2 I had this again. So I go on for another try. Got this problem only when i use nVidia Inspector Frame Rate Limiter. Is this issue still there with latest nVidia Drivers? Hi, Bought a new computer, bought and installed P3D and PMDG 737NGX, no other addons, and got the error. Tried register solutions but didn't work. Can't play the game because error shows up in less than 10 minutes after start P3D. Hello P3D what is your reaction? Very frustrating. Have you disabled the Intel UHD Graphics 630 (MSI) in the BIOS? I have not. Is that a possible solution? I don't know how to do that. Would you tell me? Must it off always when running the computer or only when playing p3d? If you use a Geforce GTX 1070 or any other GPU not on the motherboard it's sometimes better to disable onboard graphic chips. You can do this in the BIOS settings. When you boot your PC, you have to press the delete or F2 button mostly. Look for disabling onboard GPU or similar expression. Then disable it, safe the settings and exit. Only got this when i'am using nVidia Inspector. I would like to limit the FPS extern because the intern limitation coasts me around 3-4 fps. Is there any solution for that? Does roll back to an older driver solve the isssue? I have recently upgraded my video card from 780TI to the new 2080TI. I had prepar3d v4.3 working well on my windows 7, but because of the new video card I had to upgrade to Windows 10, and this is where all the problems started to happen. I am encountering the same problem as everyone else. First, I had the DXGI_ERROR_DEVICE_REMOVED. After reinstalling to the original driver 411. the next error is DXGI_ERROR_DEVICE_HUNG. I have noticed, that adjusting the shadow slider in the options to the minimum will delay this error by a few minutes, but then it will occur again. I tried all methods there and nothing seems to work. BTW, the "TdrLevel" in the registry, completely froze my computer when I ran Prepar3d so it is definitely not a solution, reverting back to older drivers doesn't help either. I read somewhere that the Windows 10 compatibility with the game and the higher ends video cards are just not compatible together, it might be a dx12 issue, if so how do I revert back to dx11? What could possibly be wrong, and did we find a solution? This is annoying and very frustrating. The only reason I bought the 2080 TI is for Prepar3d to run smoothly with higher fps settings and lag free. BaseBoard Manufacturer	ASUSTeK COMPUTER INC. So, here is a small thought. I went to the computer store and spoke to the tech guy, he said that most likely my MB, CPU and RAM are not strong enough to use this GPU. Thaty system is too old to carry this video card as it is older generation and the gpu is suffocating from my system. I decided to buy a new motherboard for 8-9th generation processors with DDR4 ram and a cpu. I will keep you posted if it is truly a hardware incompatibility issue. Finally, one more thing to try is to modify this entry in your prepar3d.cfg. It may not be related, but we did modify our the window ordering code a bit for v3.4 to allow panels to stay on top of 3d views. It's possible these additional window ordering commands are tripping up some graphics drivers. This is an optional feature which can be disabled with the setting above. Yesterday I started having this problem. I'm worried about this topic. I can not do any flight, short or long, ... Is it a problem with P3D v4, Nvidea, HIFI, ORBX, ...? Did I move to x-plane? I forget the aerial simulation? Today a new version of P3d is released. The truth is that I would like to continue with p3d, but I hope there is a suitable solution soon. Has anyone been able to solve the issue?